Today’s guest post is by Tuhin Adhikary. Tuhin is the founder of Serpdaddy. Expert in Internet Marketing campaigns, specialised in Organic SEO, Search Engine Marketing (SEM) and Social Media Marketing. Since he discovered the endless flow of money going through the internet he started making money in 2010. His new goal is sharing information, helping people to make money and increase their earning. If you are yet to start a blog, then this post could be a live safer. Did you know 90% blogs fail? Blogs can fail due to many reasons, and in this post, we will cover the top 11 mistakes you should avoid before starting a new blog. I see many people having the conception that bloggers can make easy money. If you fall into this category, then you should drop the idea of starting a blog. You will be better off spending your time in something more fruitful. I have been in the blogging industry for the past four years, and I can tell you that “blogging is not easy”. It is as difficult as any other job. No, I am not telling this to discourage you or lessen the competition. If you can’t bear to run the marathon, you’ll be better off spending that time in something useful. I do not disagree that you cannot earn a lot from a blog, but it takes both time and your patience. Things won’t change in a fortnight. So if you are really serious in investing time in blogging, start a blog. Because it’s so easy to start a blog, we tend to create a one without even knowing the basics of blogging. Blogging has changed a lot in the past years. It’s not the same platform people used to share their views on various subjects. Though your approach may be correct, if you are unaware about the basics of blogging your efforts may be useless. Learning the basics of blogging is quite easy. You just need to follow few blogs about blogging. Give yourself at least 1 – 2 months in analysing what is essential and what can be learnt later. Growing a blog is a very gradual process in which you learn many things as you go forward in your journey. You will also learn from your mistakes and from analysing other blogs. So what comes under basics of blogging? Well, unfortunately, there is no syllabus book for blogging. But according to my experience knowing things like SEO (both On-Page SEO and Off-Page SEO), Keyword Research, Content Curation, Niche Research and Copywriting skills. If you know the basics of all the sub-topics mentioned above you are good enough to start a new blog. There is no exact time to start a blog. But you shouldn’t start too early either. You may think that because there is nothing to loose you can start anytime. Blogging is not a hit and trail game. Blogging can be compared to any business. Same as in a business where you start only after a strategic plan, blogging is no different. I would not advise anybody to start a blog without having a plan. So what should you plan include? The web in 2016 is more competitive than it has ever been before. So whatever idea you have for your next blog, it might have already been already implemented. Most newbie kids like to create a tech blog where they cover almost everything under the sun. It includes blogging, offers, discounts and software. It’s simple! When you have authority sites like CNET and TechCrunch, you have almost no chance to beat them in the organic ranking with your new blog. If you are thinking to make a blog on broad topics like Health and Technology, then you should drop it right away. The main aim to think out of the box. There are still some niches which are yet to be discovered. Doing the same thing as your competitor is doing will do no good. The narrower the niche the better. So think and plan something that hasn’t been created before. 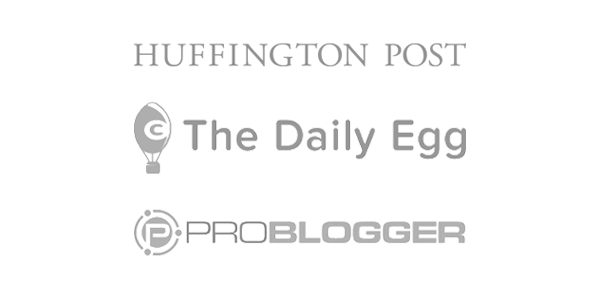 Most people that are totally unaware about blogging have a very wrong conception about bloggers. They think that all bloggers do copy from here and there and then post an article. Back in 2013 when I started blogging, I used to do the same thing. I used to copy content from X and Y sites and would publish on my blog. I thought nobody had the time to write articles. And here I am writing a 2,000 word article. It’s all about conception. I have learnt a lot from my mistakes, but you don’t have to do the same. If you take my words seriously, it will surely help you in getting success with your blog. Don’t ever copy your competitor’s site. Google is clever enough to determine plagiarised content. I see some bloggers not only copying content but even theme and pages. Try to be unique and innovative if you want to become a successful blogger in future. This is the most basic need of any blogger. But it’s often overlooked. Choosing the right hosting is very key for the future of your blog. Never go for cheap or free hosting. Always go with a trusted hosting company. You site speed and uptime are crucial for your readers as well as for the growth of your blog. 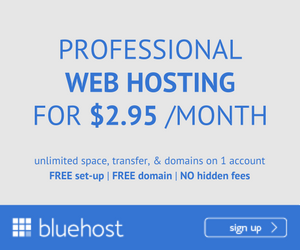 So you are even a bit serious about blogging then choose a premium hosting company such as BlueHost or Hostgator. Back in 2000, posts would rank even if it only contained a few paragraphs. But sadly in 2016, things have changed. You can’t hope for success with your blog with a 300 word article. I would recommend writing at least 1,000 word content. If you head over to my blog, you won’t find the average words for a post is around 2,000. If you are used to writing short articles, it might take some time to write longer articles but trust me it’s worth it. Try to include all the facts and figure. Try not to write 2 – 3 short articles about a topic. You will see better results if you combine them in one big article. According to a serpIQ, most posts ranking for the top 3 spots on Google has average 3000 word content. 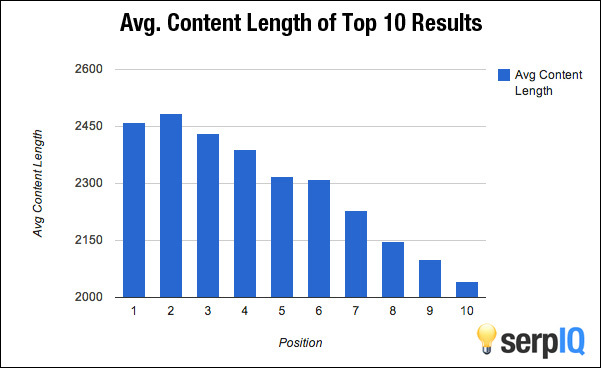 This clearly shows Google likes long form of content. Back in 2013 when I started my first blog, I thought comment links are more than sufficient to rank my blog. Sadly, I was wrong! Most newbie bloggers think that a few comment links will help them overtake their competitor. Most comment backlinks are no-follows. Links are nofollowed so that no authority is passed on to the other site. In short, no-follow links don’t help in your rankings. Please don’t get me wrong here. I am not telling that commenting on other blogs is useless. It’s quite the opposite. Having a good ratio of no-follow and do-follow links is essential for a good link profile. But don’t hope to see a massive growth with no-follow links. If you need high quality links email outreach is the way to go. All you need is a great article and people to reach out to. You can find potential by people by simply searching Google or via LinkedIn or Twitter. So who would you think will link to your blog and Why should he? Well it depends. There are many reasons why a blogger may link to you. One being if you’re content is really exceptional and relevant to their audiences, there are chances they may link to you in their future posts. A blogger may also link to you by replacing low quality content with an updated one. So you just need to figure out potential targets to get high quality links. Make sure you are not too demanding in your email. Guest Posting is probably one the oldest method of building links. Not only is it simple but people today want good content on their blog. And if you are one who can provide them with free high quality content they are more than happy to take it. Just make sure you are guest posting on a blog that is relevant to your niche. Guestographics is one of the newer techniques for building links. You might have understood from the above equation what actually is guestographics. It is process where we use an infographic as a medium to guest post on other blog. The only sad part about this method is unless you are a pro at graphic design you won’t be able to create a good infographic for your link building campaign. You can good infographics made at UpWork or PeoplePerHour. Broken link building is the most underrated way of getting links. The obvious reason is that the conversion rate is quite poor. Still the links you get from broken link building is very valuable. It includes the process of finding broken links on a web page by using a plugin such as Link Miner. The next step is create a substitute post and reach out to the blog owner with the issue. I still remember those days when I used to write blog posts and hope to get traffic. I thought my post would magically rank on Google and I would get the visitor I wished for. I call this the “publish and pray approach”. Sadly this approach doesn’t work in 2016. You can’t hope to get traffic even you are writing a 3,000 word article. There are tons of places where you can promote your post. This includes niche relevant forums, social media and guest posting. If you think that your content is worth the reader’s time, then you can easily attract them to your blog. You will have to build links too if you want organic traffic from Google. 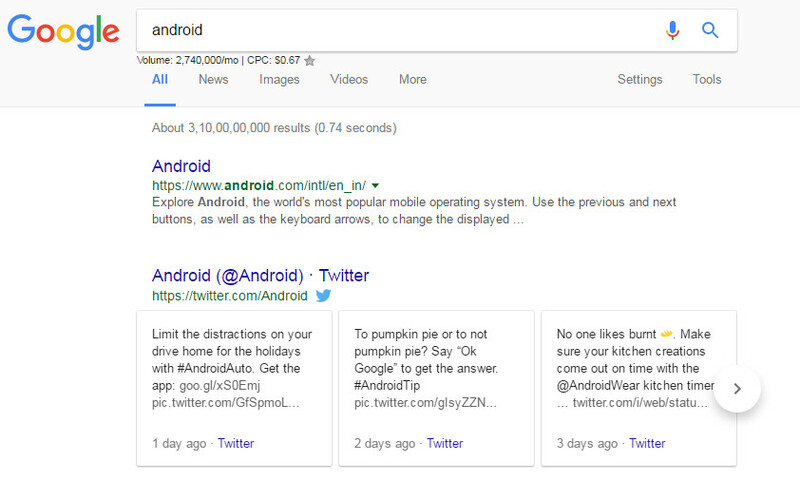 Do you know how much time people search for the word “android”? Ok, let me help you. That word gets searched for over 2.7 million times in a month. If you are a newbie and you write a post to target competitive keyword you are more than likely to fail. Sadly there is no exact number to look for while choosing a keyword. You need to analyse the website’s ranking for the keyword. If you find big authority sites there, then you are better off finding another keyword. But if you find other blogs or Facebook pages ranking for the keyword then that’s a green signal. Finding a good domain in 2016 is difficult. You will mostly find them premium or already taken. But it doesn’t mean that you choose an exact match domain. There are other cool ways to choose a domain that is still relevant and brandable at the same time. An exact match domain is a domain name that exactly matches the searched keyword phrase of a user, and contains no dashes. I hope you enjoyed reading the article. If you are yet to start a blog, then you’ll want take all these tips very seriously. What mistakes you made in your early blogging days? Let me know below, I would love to hear from you. Hi, I am planning to start a Tech blog and this checklist will surely help me avoid these common mistakes. Really helpful and informative. 🙂 Thanks Anh for sharing this awesome post! Thanks Sharing information for mistake to avoid starting blog to some make awesome blog in this some give step to which mistake avoid. Really, your article is very helpful for every blogger to drive more traffic. You’ve described very simply yet effective, I must say you’ve written amazing article. These 11 tips which we don’t use, is so important for me and new bloggers too. Thanks to share your ideas. I agree with all the points you shared Anh. One more thing I wish to add is irregular posting. That is biggest mistake for startup blogger. Regular posting is the key success in the world of blogging. I notice when I stopped posting for a whole week, it took me at least 1 month to recover traffic. Good post. I just started a job where I have been asked to submit a blog post for the company website. I wrote 4 submissions and all were rejected. I have never written a blog post before so these tips should come in handy if I am asked again to post for the company blog. Great to hear, good luck with your posts. It can be a little intimidating to start blogging at first, but I’m sure you’ll get better soon enough. Most of the people do start blogging for money, they think it is quick way to earn, and that is the reason why majority people fail in this field as blogging needs passion & patience. So, totally worth reading article Anh. Aww, thanks Jenny. 🙂 Yes, when you expect quick results, it’s more easy to get discouraged when it just doesn’t happen so I think a mentality of patience when it comes to blogging is crucial. Learning from your mistakes is part of the learning curve, but it’s great to have someone to guide us. The fewer mistakes we make while blogging, the more comfortable the learning process is going to be. This is wonderful and important information. I myself have my own online business and some of these traps I have fallen into head first. Blogging is not easy, and it is not something that will provide you with a sustainable income right away. There is a lot that needs to be done and there is also a lot that goes on behind the scenes that you need to know and learn. I learned a few things here today such as the importance (or non importance) of no follow links. 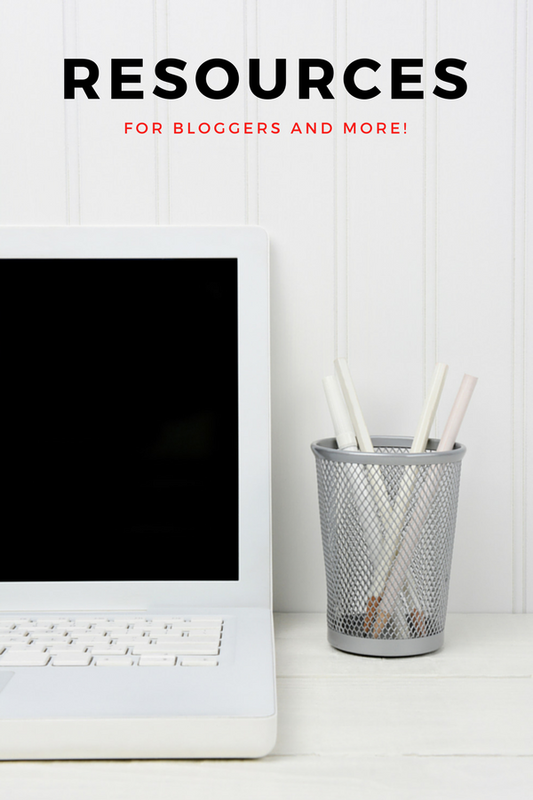 Thank you Anh for a great article, 11 mistakes to avoid when starting a new blog really covers alot from having a plan, choosing the right hosting and different marketing stategies to look at. These tips are really useful and are key things to consider when venturing into the blogging world. What marketing strategy do you consider more important? Kerryanne, I’m so glad you enjoyed Tuhin’s post! I’m not sure I understand your question. But if you want to ask about my most recommended marketing strategies for new bloggers, then that’s SEO with a focus on long-tail, low-competitive keywords, influencer marketing (getting to know and cooperating with influencers in your industry) and viral marketing (creating viral posts). I have read all your 11 points and I think they are key pillars to anyone starting the blogging online business. One of the ways to enjoy the online business is to choose a niche out of your passions. You have elaborated about the proper use of the keyword tool which is pretty important. Your post has ignited and streamlined my thinking on blogging and online business. Personally I like writing short blogs and I think I strongly need to improve on putting more words. Hey Paul, I’m so glad you learned something new from Tuhin’s post! 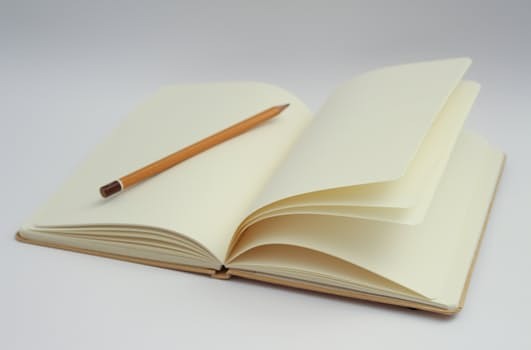 Yes, writing longer content can help you with SEO and also establish yourself as a resource hub in your niche. That said, I’d like to point out that it’s not the only way to building a successful blog. Take Seth Godin, for example, who writes short posts everyday and his blog is so popular mostly through words-of-mouth and social media. So it’s really about which strategies you are going for. I also didn’t know that backlinks are important to the ranking of one’s website. There are some divided opinions about the importance of backlinks, some people say that they are necessary, but some also think that you should focus on content only and don’t waste much time with backlinking. Hey Dejan, about backlinks, this will depend on which keywords you are targeting. For example if you want to rank for a medium to hard keyword, then they would be crucial. On the other hand, if you go for low-hanging fruits, or low competitive keywords, then they are less prominent when it comes to SEO. I keep wondering if blogging is just going to get harder and harder to succeed at the more popular it gets. Long tail keywords are being targeted more frequently now, so we have a platform that EVERYONE uses but there is more and more competition. 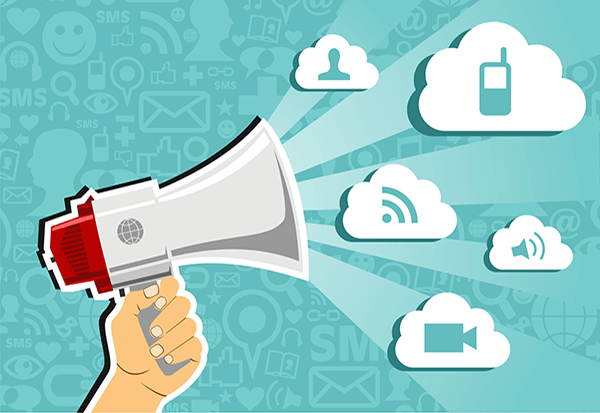 I think its getting even more necessary to promote your site in today’s online world. Personally number 9 is what I need to focus on getting better at. Thanks for an awesome read! I’m so glad you learned something new from this post, Tuhin did a great job on it! I just started in this online world, So I am making some early days mistakes lol. There’s a lot of things I haven’t considered, but I hope that in due time I’ll get better at. I had noticed that posts had to have a word count in the high thousands, but I thought that some people would get overwhelmed with information. Is there no way around this? Right now my posts are around 500-650ish words. I hope this helps and wish you all the best in your endevours! You’ve got some great tips here Anh. I think the points about writing longer content and promoting my post is the biggest things I need to work on. I already have pages on Pinterest and Google+ but maybe I should try reaching out to forums as well as biulding up these pages. I do have a question though, how exactly do you go about getting a guest post on your blog? I think this would be a great way to improve my site and would really apprecitate some tips in doing so. About guest posts, I am afraid I can’t tell you much, the guest posters always contact me first. Having a guest posting page on your site may help. However, I don’t think having guest posters before you have an audience is helpful. Acutually, it’s better to reach out and write on other blogs to get your name out there. Blogs are about content. Even if we love something, if we can’t write about it day after day, our blog isn’t going to go anywhere. Choosing a topic that we have lots of ideas for or can write about again and again and again without getting bored. If it’s a niche that truly enjoyable, we will find it easy to write posts about things related to our niche. Indeed, we should always try to choose that kind of hosting which are authentic in nature for our website. Today, in new era of blogosphere we need to compose our blog which is short in length but effective in nature so that our audience get engaged with it. Eventually, thanks for sharing your informative ideology with us. Very informative article. I liked all the points and was nodding as I read them. Although I slightly disagree with number 1. I mean, making money from blogging….it’s the main reason 90% start. I would actually say don’t think you’ll ‘automatically’ make money from blogging. But realistically, it’s the target we all set ourselves…. Hey there, Iain. I’m so glad you enjoyed the post! 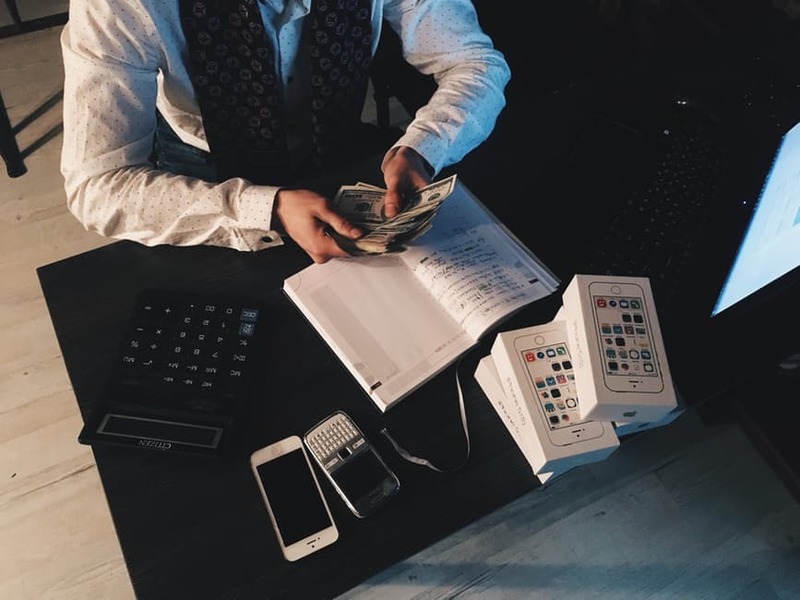 I agree with your point, for example if you are starting a blog with profit in mind, it’s actually not a bad idea to plan all that thing out and be intentional with your content. I think Tuhin (the writer) is more or less referring to hobby bloggers with number 1. If anything motivates it’s good. I was referring to those who are not passionate about blogging and do it in the hope of earning easy money. Really enjoyed reading. Just recently started blogging so some very useful advice for me to follow. I agree with you that there has to be some considerations before starting, but also think that there is so much to learn from just starting. Especially as a new blogger, I think it will be too overwhelming to make a complete strategic plan before starting – I am sure it is a very good approach, but also difficult if you do not have any precious experience about websites or blogging. Maybe a litte trial and error is good in this case? You are mentioning that broken link building is very valuable. I do not really know anything about this – can you explain a bit more about what it is and how to do it? Hey Mikael, thanks for doping by! I agree with you on the trial and errors, it’s how I like to do things as well. But then again, it completely depends on the person. Sometimes planing doesn’t have to be so detailed, but just answering some basic questions like “what is your ultimate goal with your blog? for fun? to make money?” then “how are you going to monetize it?”. I truly agree that doing everything I wrote above is next to impossible. For the matter of truth even the so called “Pros” also don’t follow everything. Yes! Trial and Error is good for anyone starting. But still if you have most of the things under control you have better chances of success. Mikael, about broken link building, it’s a method of getting others to link to your site by actively finding broken links on other sites and suggesting to them posts of your own (whether you have it already or create just for this occasion) that can replace those broken links. Moz has a great post on this technique that you can check out here. Nice post, you have listed all the obvious things which we should avoid when starting a new blog. Indeed every blogger must have passion and dedication to keep the consistency. Thanks, Allen. 🙂 I agree that Tuhin (he’s the writer) did a great job at stating the obvious-not-so-obvious titbits of blogging right there.